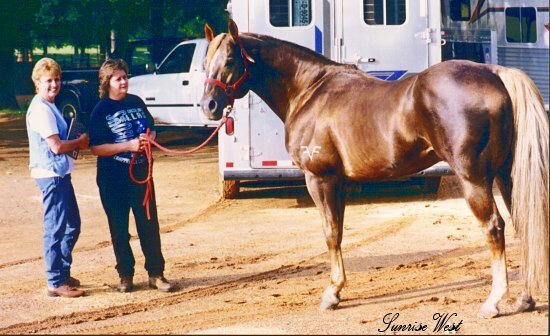 Fire Water Flit passed away in his stall from natural causes on December 20, 2005. Flit Bars have a characteristic way of handling themselves in a turn - they are very smooth and easy to ride, and they get their hindquarters low in the ground. 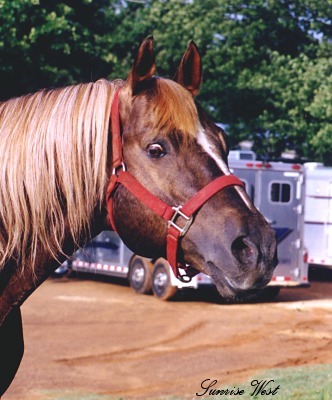 The 'Flit Bar era' could be said to have begun in 1975, when Jimmie Gibbs Monroe won the World Championship Barrel Racing title on a Flit Bar son. We don't think that 'era' has ever ended. Several sons of Fire Water Flit are now producing winners. The young son of Fire Water Flit that we bred and raised, Fire Water Magic, has produced some fine looking horses for us. 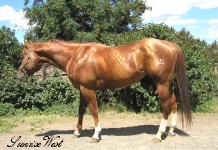 You can find Fire Water Flit in the pedigrees of several of our horses. Fire Water Flit - barrel horse bloodlines at their best!